05/02/18 - Added a new item to the License Plates page. 02/03/18 - Added Shea Stadium radio pass. 11/29/16 - Added a new item to the License Plates page. 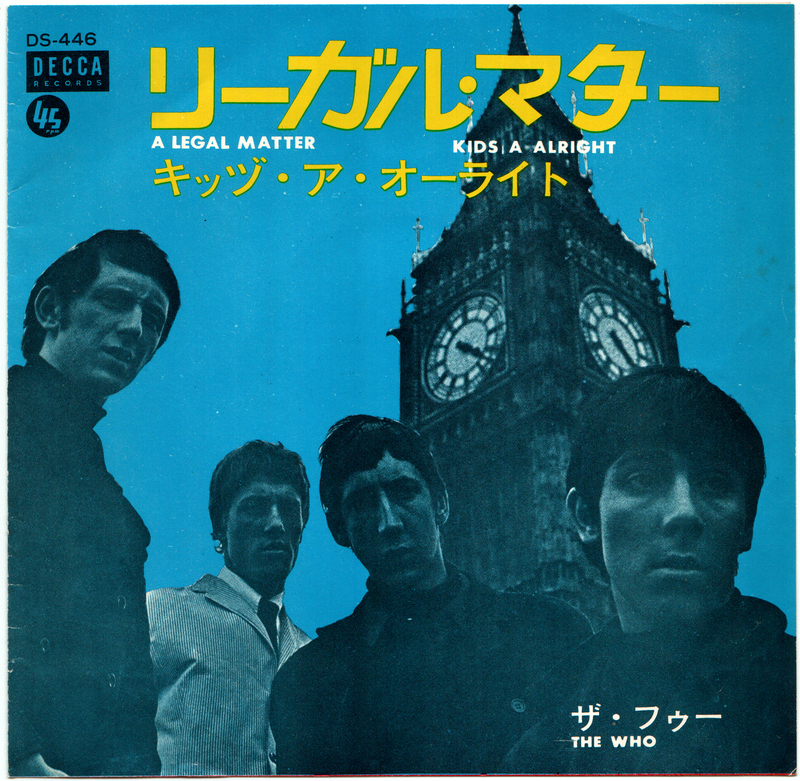 02/06/16 - Added Legal Matter/The Kids Are Alright picture sleeve single to the Japan page. 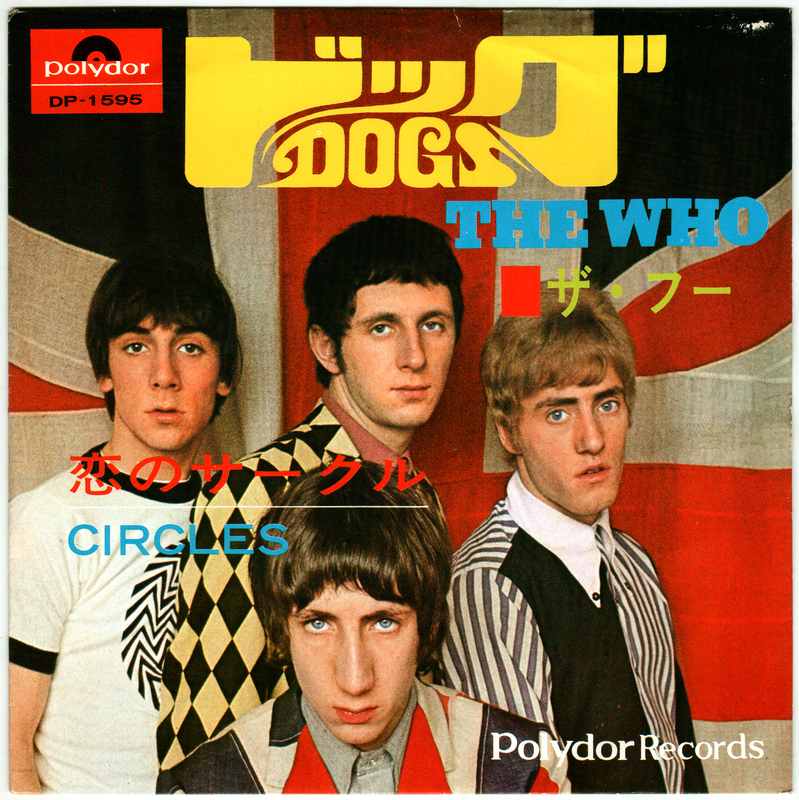 01/30/16 - Added upgraded Dogs picture sleeve single to the Japan page. 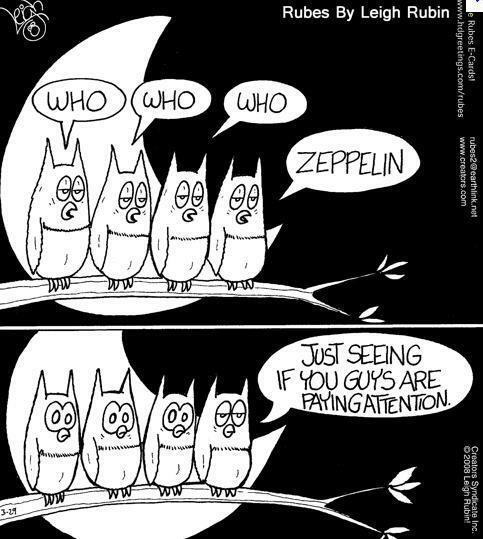 01/11/16 - Added Frazz cartoon to the Photos, Cartoons, Clippings, Press Kits page. 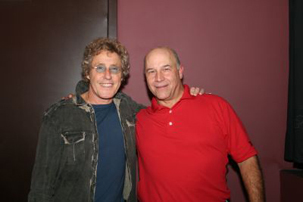 05/26/15 - Updated the Concerts page. 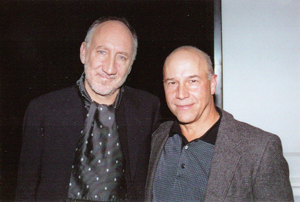 12/09/14 - Added Frazz cartoon to the Photos, Cartoons, Clippings, Press Kits page. 11/30/14 - Added high resolution scans to the Japan page. 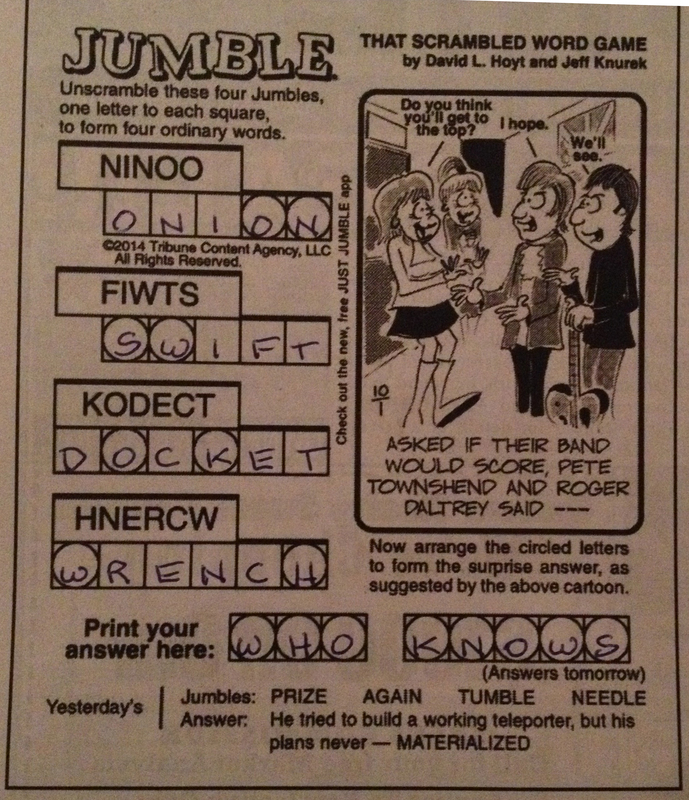 11/30/14 - Added Jumble and Pearls Before Swine cartoon to the Photos, Cartoons, Clippings, Press Kits page. 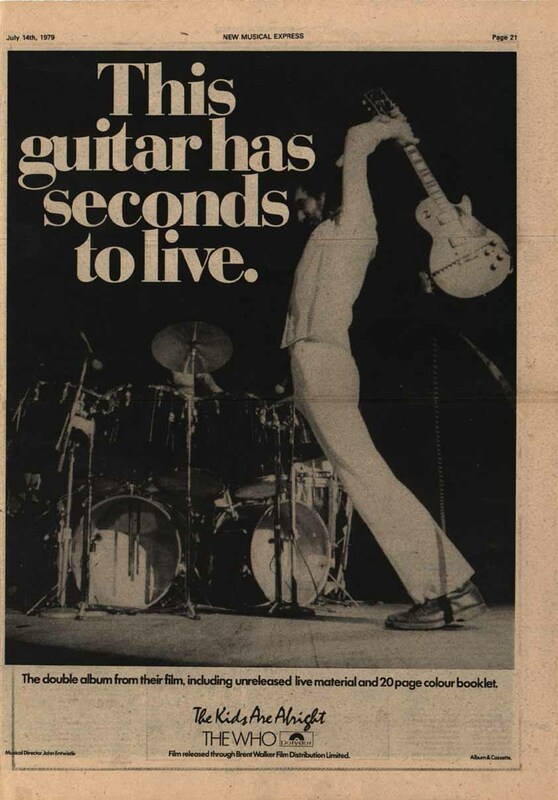 08/12/14 - Added some auction results to the Gibson SG Special page. 03/09/13 - Added a tattoo to the Tattoo page. 03/02/13 - Added a tattoo to the Tattoo page. 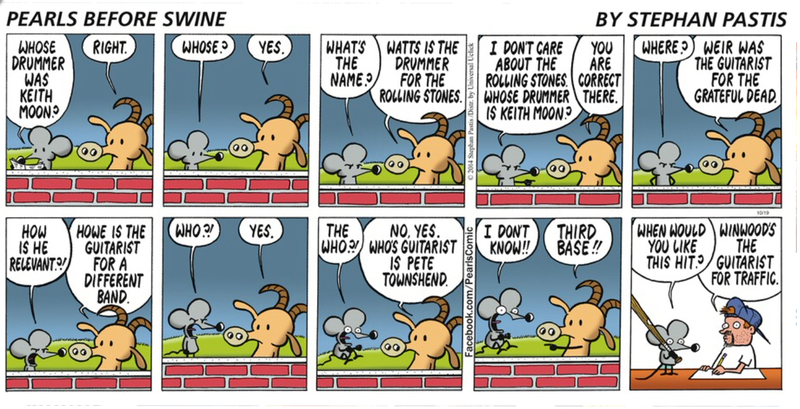 05/19/12 - Added Rubes cartoon to the Photos, Cartoons, Clippings, Press Kits page. 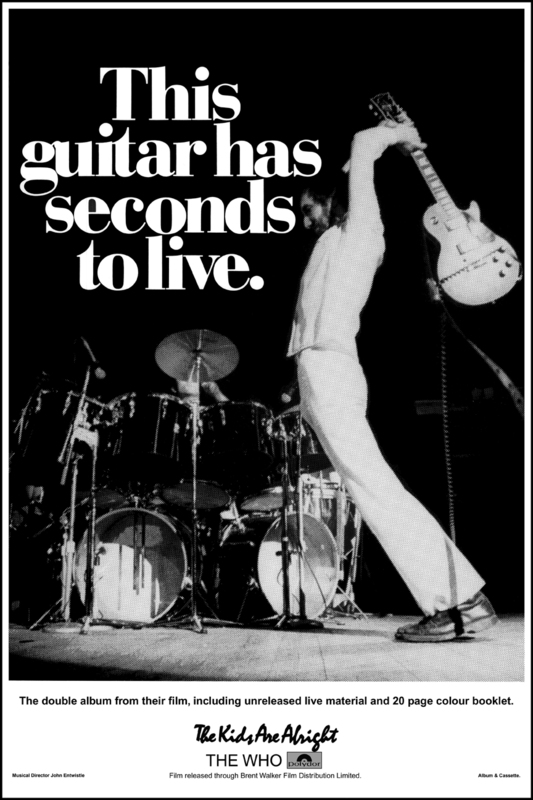 This guitar has seconds to live poster. New and improved. OK, you asked for the poster and now I have them. Why is it new and improved? Because I own the original artwork that was used for the newspaper ad. Gone is the horizontal smudged line in the middle from where the newspaper was folded and the low quality of a newspaper print. That is what you will get on eBay if you buy one of the cheap reproductions from China - that is, until they copy my poster again. Originally a newspaper ad in 1979 for the movie "The Kids Are Alright," you can now get a poster to decorate your office, dorm room, workshop, etc. The poster measures 12"x18" and is printed on 100# text stock, using 4-color process printing by a professional printing house. Posters are mailed rolled in a heavy crush proof mailing tube. U.S. orders are shipped via USPS First Class Mail. Foreign orders are shipped via Air Mail. Where is the guitar now??? 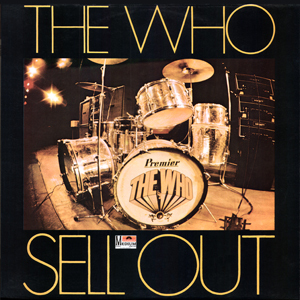 The Who Sell Out drum kit cover from Holland. Now as a poster. I now have posters made from my mint copy of one of the nicest album covers ever made, the Dutch drum kit cover from 1967. The posters measure 11½" x 11½" (slightly smaller than the actual album) and is printed by the giclée method on heavy, high quality, 80# coated stock by a professional printing house. 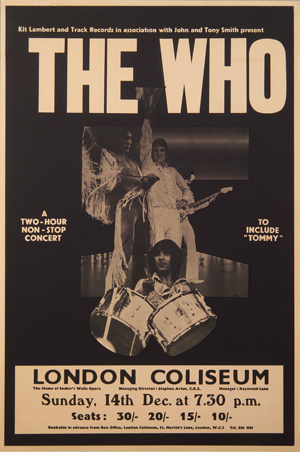 1969 London Coliseum poster. Copied from my original. For the last 25+ years, an original poster of the historic December 14, 1969 concert has hung on my living room wall (even my wife loves it). My copy was used to make the reproduction poster that was included in the 2013 Tommy Super Deluxe Edition box set. I now have available copies of my poster. My original was photographed and printed by a professional printing house. They are printed on 100# coated tan stock. They are in the original 20" x 30" size. 1982 original Shea Stadium radio pass. 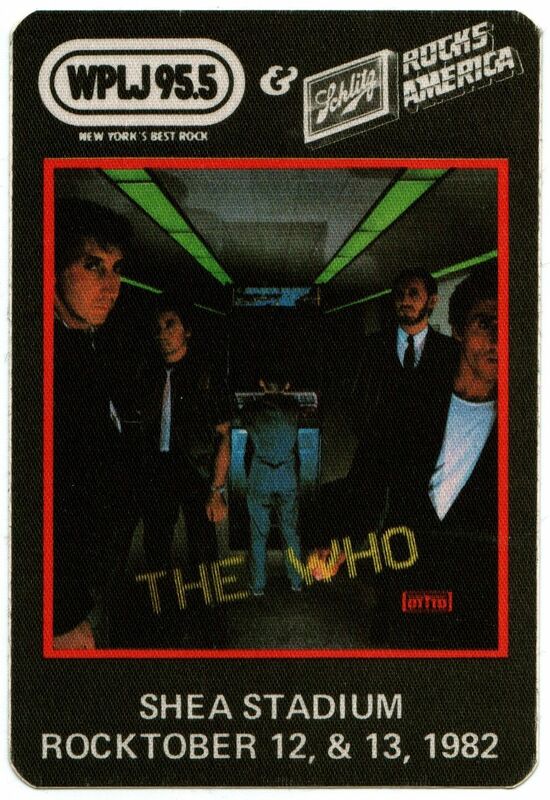 For the 1982 It's Hard tour there were issued radio passes for a number of different shows. I mailed a lot of different radio stations and most sent me a sticker or two. 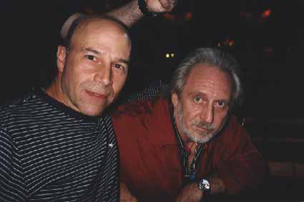 Click here to see the ones I have. 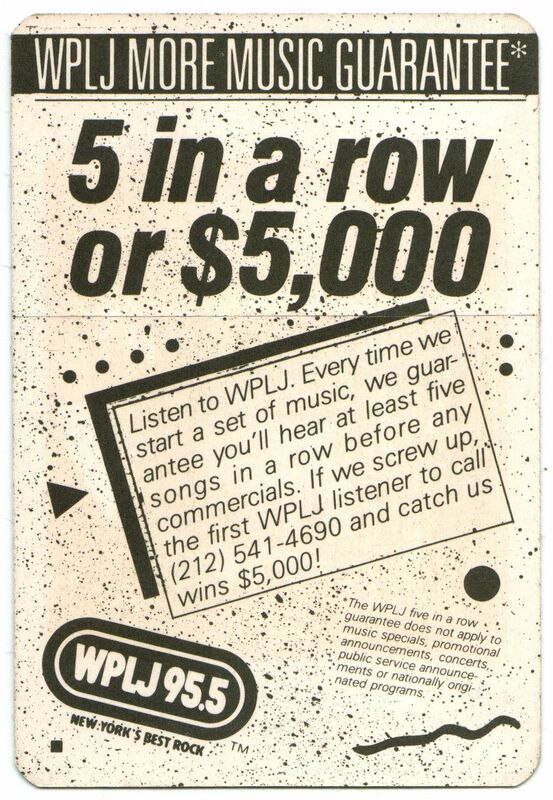 WPLJ 95.5 was good enough to send me quite a few of them. They measure 3-1/2"by 4-3/4" and are printed on a silk like material. The back is peelable so that you can use them as a sticker. Mailed to the U.S., Canada and everywhere else in the world. Now only $1.00 plus postage! I now have "Euro" sticker type Who bumper stickers as shown here. Put them on your car bumper (duhhh! ), lunch pail, refrigerator, etc. Click here to order yours or for more information. Mailed to the U.S., Canada and everywhere else in the world. Eddie Vedder of Pearl Jam got his sticker! 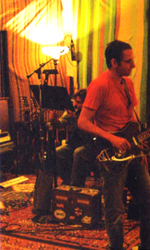 This is a photo of them in the studio. I'm told that Eddie travels everywhere with the suitcase at his feet. 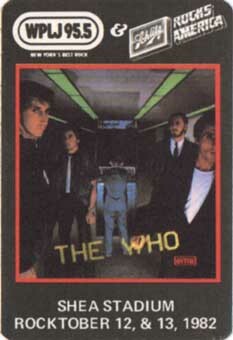 Do you have some original Who documents and want to find out what they are worth? Click here to learn what you probably really have.